How about we start the day with another giveaway? How would you like to win some lovely wedding invitations from Minted? Sounds good, right? Minted is known for their huge collection of customizable wedding invitations, save the dates and other paper pretties. 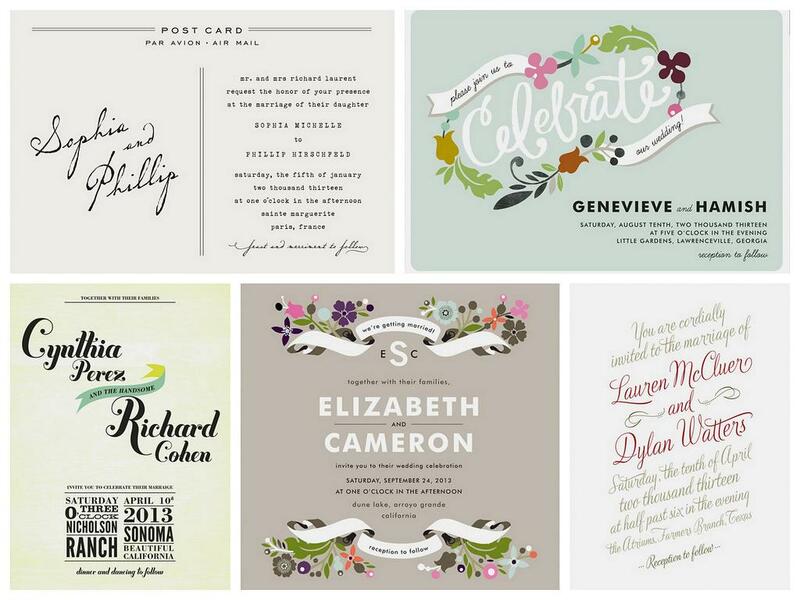 I selected a few of my favorites and now is your turn to tell us which one is yours for a chance to win 75 flat wedding invitations of your choice. • visit Minted website and leave a comment with your favorite invitation. Giveaway ends on September 11, 2011 at 5 pm EST. Giveaway has ended! I like Minted on Facebook! Since I am pretty much obsessed with everything that Cheree Berry produces, I would have to go with the "Charming Go Lightly" design... that, or "Midnight Vineyard Wedding"! My favorite set is the fireflies invitation! I happily follow Minted on Twitter! I like Minted on Facebook... but I wish I could loooooove them! I followed Minted on twitter!! I followed Postcards and Pretties on Twitter!! I tweeted the giveaway!! :) Hope I win, I love Minted!! oh man, theres so many good ones! two of my favorites are Breezy Ribbons and Bold Brackets. I follow Minted on Twitter. I also follow Postcards and Pretties on twitter. My favorite design is the Destination Weddings Invitations that have all the cars converging on the same spot. I love the white lace and the just my type invites! I'd probably have to have my fiance help me decide! I follow P&P on Twitter! I LOVE "la Fete" and the "vintage barn" wedding invites! so many good choices! i also liked minted on facebook. Oh what I would give to win this!!! It's so hard to choose, but right now I'm loving the banner and branches. love this giveaway! I am getting married in JANUARY so I think the winter flourish invitations would go great with my theme, but I love them all and would have to take another look around! Already following postcards and pretties on twitter! Now following minted on twitter! i looove the fireflies wedding invite! and i follow minted on twitter. I love the banner and branches wedding invites. They would be perfect for my upcoming wedding. So lovely and modern. Love the Say Something invites! I like Minted on Facebook. so amazing! lovelove the float + amour design! Ahhhh, I love Minted!! I've been coveting the Winter Flourish invitations - so beautiful, elegant, and classic! I also already like Minted on FB, fingers crossed! I love the Matzinger Wedding Invitations! These would be so perfect to send out for my wedding! I LOVE the banner & branches invites at minted.com! Also, I think your link to their website might be broken under "How to enter" - thank you! I love love the fireflies invitation!!! I follow on twitter from along_the_path! My favorite is the come together invite! I love the wildflowers and mason jar save the date card! 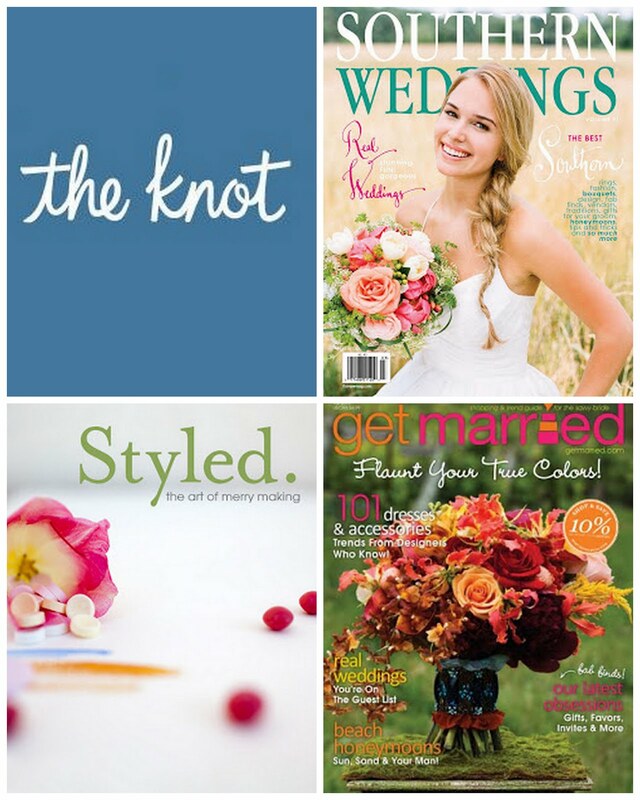 I"m following Minted on Twitter. I love the "Finally Wedding" invitations. There are so many good ones! But at this moment I love the Italiano one. I love the fireflies invitations! I would choose the love letter invitations designed by Annie Clark. I love the Firefly Wedding Invitations by Cadence Paige. They have mason jars, a big part of the wedding theme, and they are made in my hometown of Columbus, Ohio. My favorite Minted invitation is their "Smart Conversation." The colors are exactly the ones we're using in our May wedding--blue and orange. The cute conversation is totally me and my fiance! I just followed the Postcards & Pretties Twitter account! I'm now following Minted on Twitter! And, finally, following Minted on FB. I have been in love with the fireflies suite since I got engaged! I'm following postcards and pretties on twitter. I'm following Minted on twitter. I liked Minted on FB. I just love the Swanky Hotel invitation suite! Now following P&P on Twitter! Thanks! The Mr. Laurence suite is great! I followed Minted on Twitter. I followed P&P on Twitter.